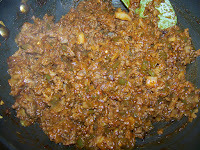 Sweet and Sour Asian Sloppy Joe's are a quick, economical and delicious way to feed my family on those busy weeknights. Sometimes, trying to feed a family of four on a budget is not always easy when I am pressed for time and everyone is hungry for dinner. It's tempting to just throw up my hands and get take out, but that's not economical. I like having lean ground meat in the house at all times so I can make a quick meal like spaghetti bolognese or these hearty sloppy joe's. 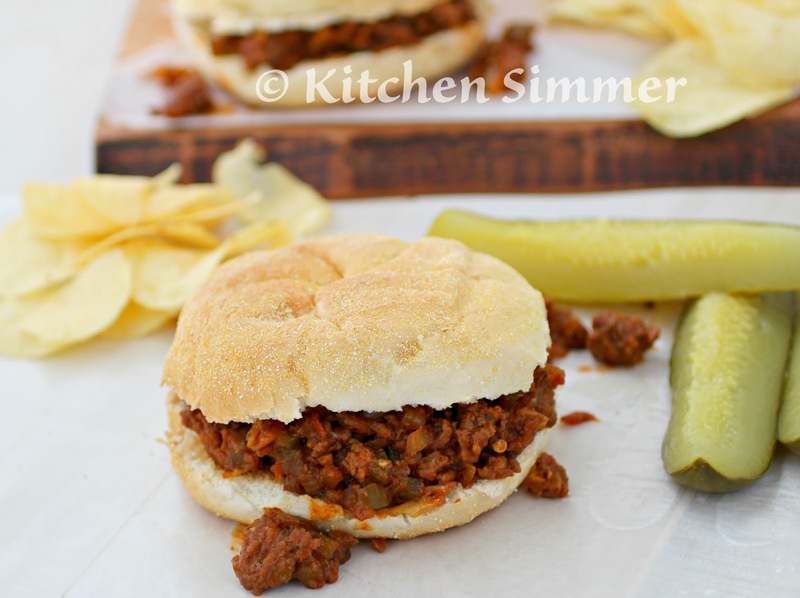 I can have these sloppy joe's cooked in less than 20 minutes and we can have dinner on the table much faster than waiting for my husband to get back home with take out. 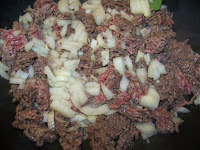 I made this budget friendly by stretching the one pound of lean beef by adding onions, bell peppers and white cabbage. The cabbage really cooks down into the beef so my kids had no clue there was cabbage even in it. The cabbage also gives a nice texture to the sloppy joe's. 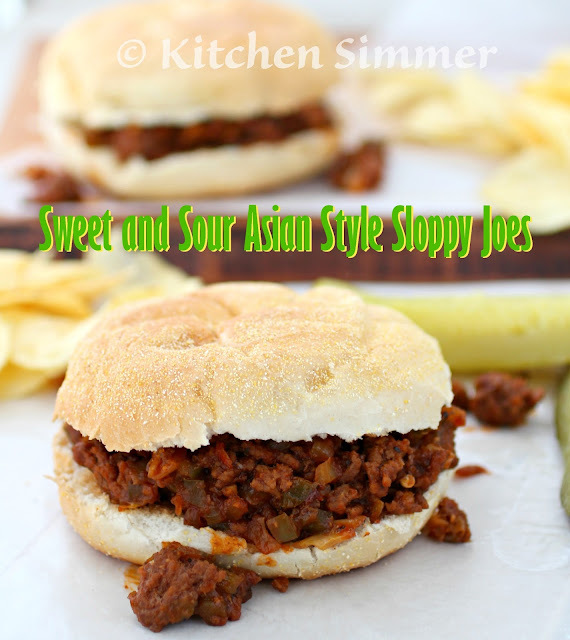 I flavored the sloppy joe's with my favorite Asian flavors that really gave it a punch. 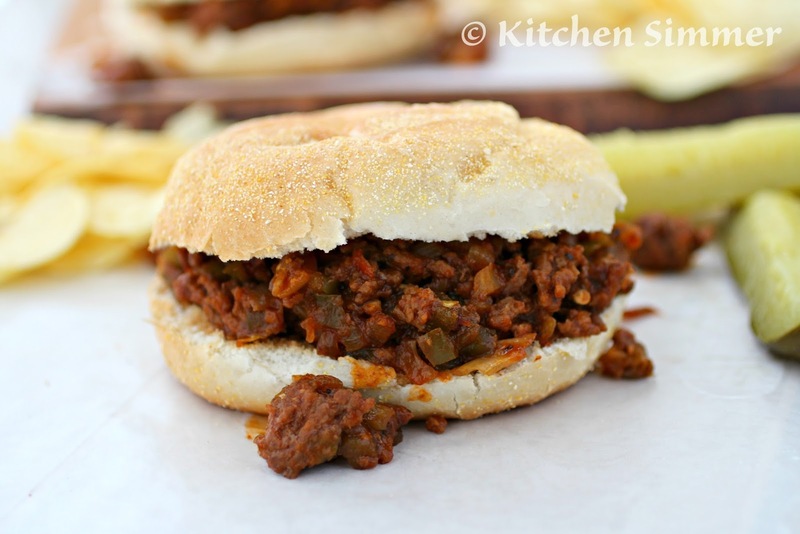 These sloppy joes' saved me from two hungry kids and a grumpy husband. After dinner, everyone was smiling again with full bellies. Brown lean ground beef and then add onions. Season with salt and black pepper. 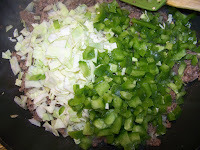 Once beef is browned, add bell pepper and cabbage. Cook for 3-5 minutes. Season with a little more salt and black pepper. 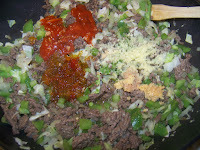 Then add the sweet chili sauce, red chili flakes, sriracha sauce, ginger and garlic. Saute for 2-3 minutes. 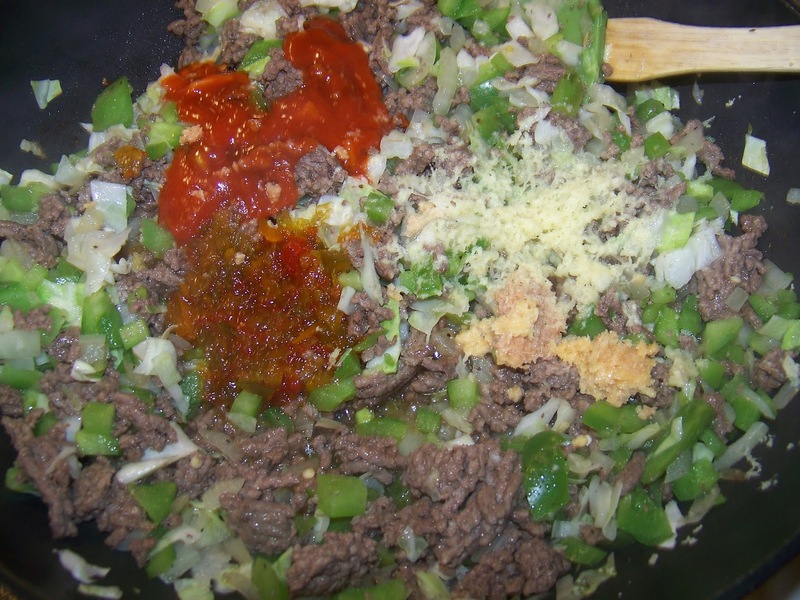 Next add the canned tomato sauce, soy sauce and water. Cook for 10-15 minutes, stirring occasionally. Once water is cooked out, taste for salt and season and adjust to taste. Serve hot on toasted buns. I love this twist on a classic! 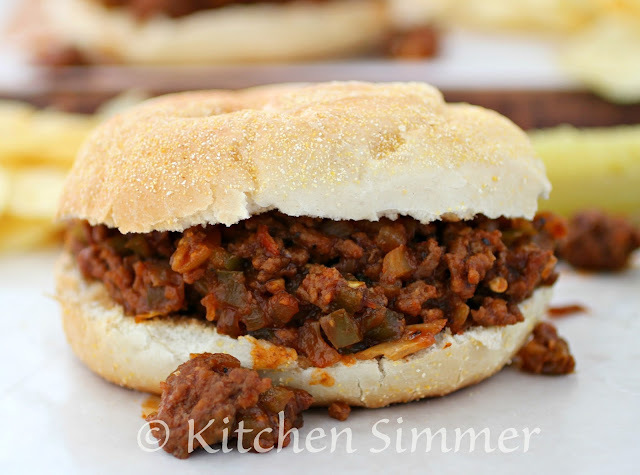 These sloppy joes sound fantastic! I love this fun twist! My family would love this! Pretty sneaky with the cabbage! It's a really good way to squeeze in more veggies. Hope this works with my husband! 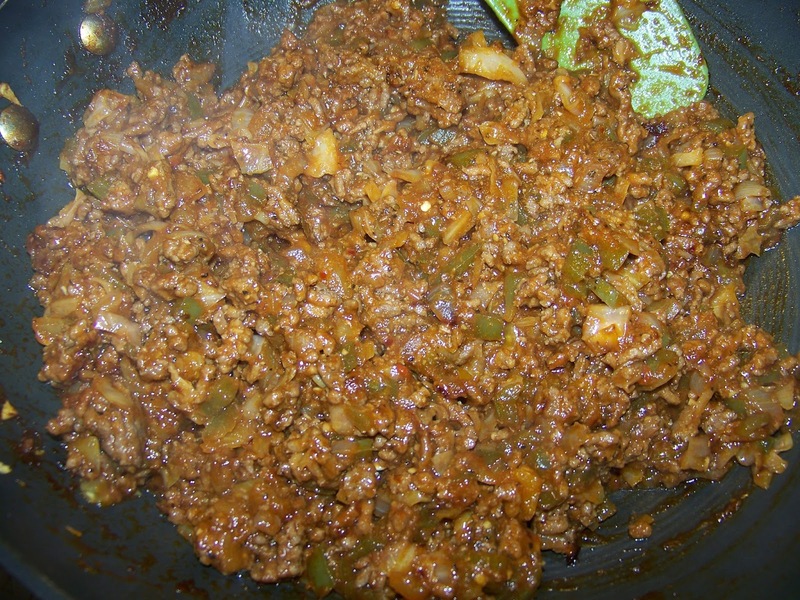 What a nice twist on a classic sloppy joe...Love it! Gosh it's been such a long time since I last ate a sloppy joe. Your recipe sounds delicious, Ramona!